Are you building a new house? Are you looking to do an exterior renovation in the Olds area? Call Viklund Contracting today at (403) 617-7280 and talk to Natalie about your next siding job. With well over 500 projects completed over the last 18 years, we have the knowledge and skill required to complete any Vinyl Siding or James Hardie project. So whether it’s a massive custom home or melted siding from your bbq, call us for a free no obligation quote. Services we provide in Olds Alberta. Vinyl Siding: Your most affordable option. Its Low maintenance, so you can have the time to do the important things in life! Vinyl Siding is weather and wind resistant. Some are wind resistant up to 110 mph or higher. That would come in handy for those harsh Olds Alberta winters. It also looks good, with so many vinyl siding colors to choose from you can get the color that you always wanted. Warranty of up to 50 years! 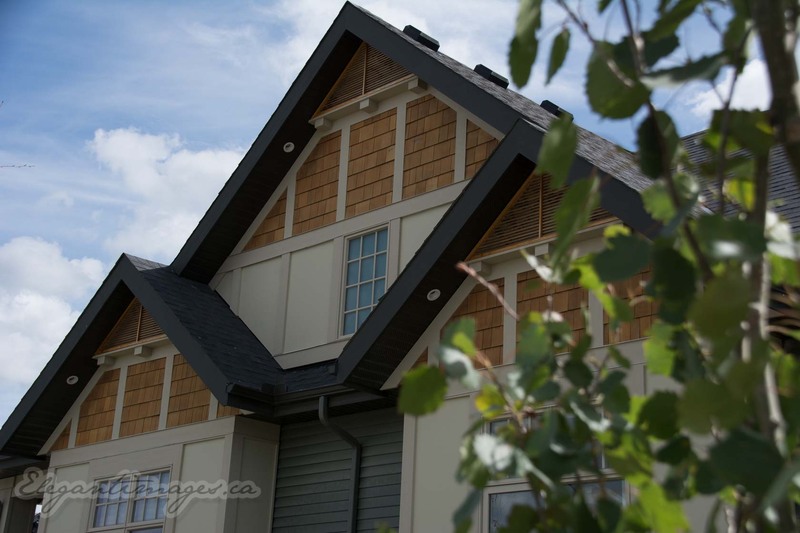 Eavestrough and Gutters: Eavestroughs ( Gutters) and Downspouts come in many different colors. We do seamless eavestrough to help displace the rainwater that lands on the roof. James Hardie Siding: James Hardie board is the fiber cement siding we normally use. We have used Certainteed before, but really like the baked on finish that Hardie does on their paint. It also looks great and is a very durable product. The fire rating is also amazing to say the least! So the next time hail hits central Alberta, you will be glad you sided your home with a fiber cement board. Soffit and Fascia: Want to bring out the beauty of your Olds home with new Fascia and Soffit? Boost your curb appeal? Then let’s do your renovation with a company you can trust… Viklund Contracting! Exterior Siding Repair: Did you melt your siding with the bbq? Maybe the wind blew some siding off, or are your gutters leaking. We can help with the repairs to the exterior of your house. Why Choose us for your next James Hardie Siding,Vinyl Siding or Eavestrough project? Customer Service: “We are not happy til you are happy” Customer service is one of the main reasons why we are the number one choice for all your exterior siding needs in Olds Alberta. Warranty: We give a 5 years workmanship warranty on the installation of your project. Up to 50 year 0n Vinyl siding and a 30 year transferable on James Hardie plank. Experienced Crews: Shane and Natalie will be helping on your home. We work side by side with our crews to make sure your exterior siding or eavestrough install go as smoothly as possible. For All Of Your Vinyl Siding, Eavestrough and Hardie Board projects in Olds and surrounding areas. Call Natalie at Viklund Contracting now at (403) 617-7280. Or fill out the contact form and we will get back to you as soon as possible to answer any questions you may have. We will set up an appointment to provide a free no obligation quote for your next project.